Now in the last hour of the 2015 General Elections, candidates are making that last push to get voters to the polls. 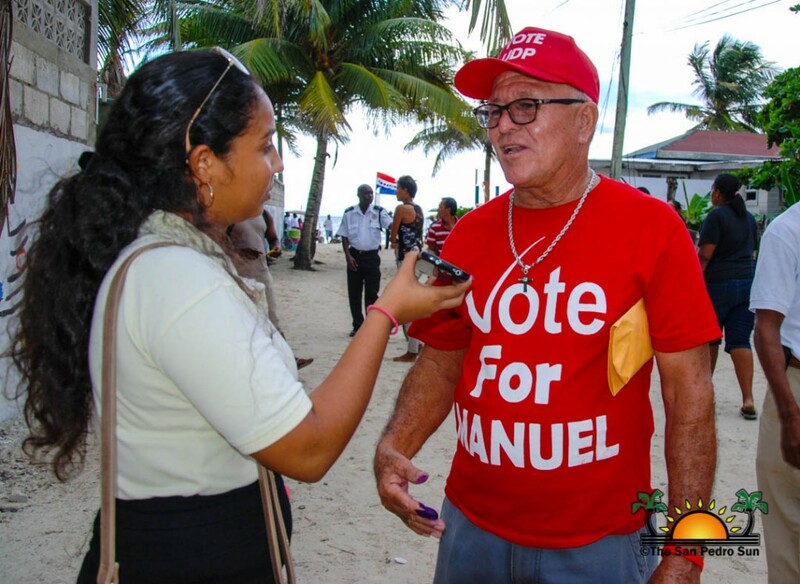 As of 5PM 60% of registered voters in Belize had already visited one of 393 polling stations across the country. Here in Belize Rural South (BRS) voter’s turnout is at 60% with 5,249 out of 8,749 registered electorates having cast their vote. According to Returning Officer, Martin Alegria, as of 5PM, 4,607 votes had been cast at Polling Area 37 while 642 votes had been cast at Polling Area 34 and 38. With a voter’s turnout of 59% in San Pedro, 3,237 registered voters have still not made it to the polls. 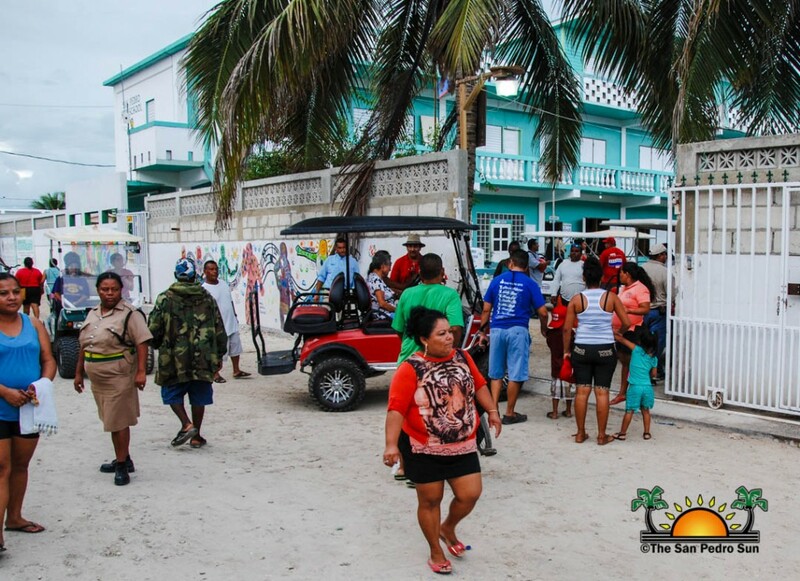 As for Caye Calker, their voter’s turnout is at 71% with 263 registered voters still not having cast their votes. In an interview with The San Pedro Sun, the United Democratic Party’s Manuel Heredia Jr. expressed his confidence on becoming the BRS Area Representative for the third term in a row. “We are doing excellently. Since the morning we have been ensuring our people reach the polls and that has continued all day. Here in San Pedro, I expect a victory of two to one. Caye Caulker has always been a difficult territory for me, but I do expect thing, to be evened out with the People’s United Party. I am happy with support from my people. My machinery was the best in BRS and I’m so happy for all those who are out here helping me on this Election Day. I would like to thank everyone who exercised their constitutional right to vote and offered me this substantial support,” said Heredia. As the closing nears, the San Pedro Police Department is tightening security efforts to ensure safety at the polling area. At 6PM, a police officer will be stationed behind the last person in each line. Once the last vote is cast, the ballot boxes will be closed and taken to the official counting room at the San Pedro High School. 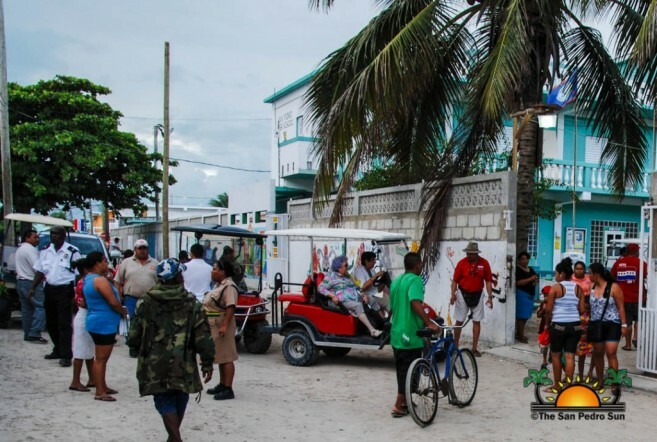 Ballot boxes from Caye Caulker will be transported to San Pedro by the Belize Coast Guard personnel. The election process for the rest of the country remains stable. Voter’s turn out per district as of 4PM is as follows: Belize District at 56% with 40,840 out of 72,995 registered voters; Cayo District at 60% with 27,121 out of 45,124 registered voters; Corozal District at 77% with 14,884 out of 19,333 registered voters; Orange Walk District at 70% with 20,599 out of 29,368 registered voters; Stann Creek District at 56% with 8,628 out of 15,544 registered voters; Toledo District at 69% with 9,785 out of 14,223 registered voters. The next report that will be brought to you by The San Pedro Sun will be official results of the 2015 General Election.